This cozy townhouse is located in a quiet area of ​​Son Españolet. Its walking distance to both Santa Catalina's market hall and the Palma Tennis Club. The house has been carefully renovated and consists of two floors of 106 m² where you have a spacious living room with a lovely fireplace that works perfect for a bit chilly evenings, a bathroom and a bright modern kitchen. 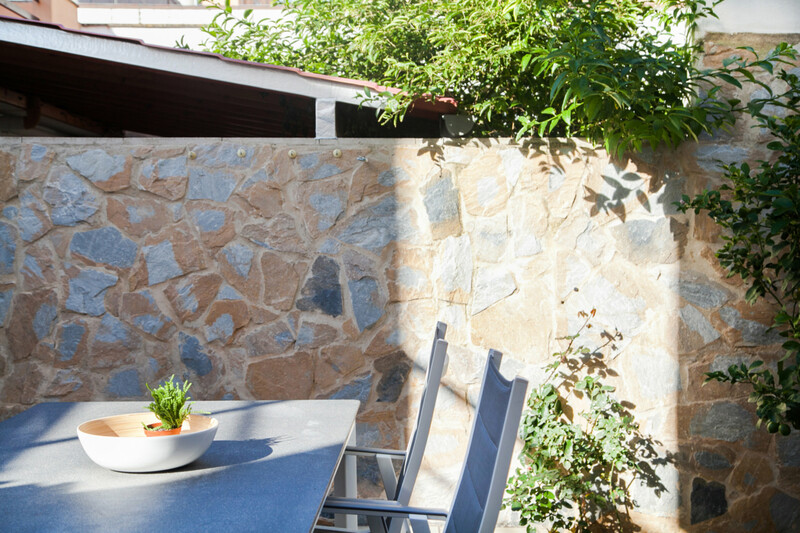 From the kitchen you reach the nice 25 m² terrace where you can also have your own lemon tree to pick from. On the upper level you will find three bedrooms and a bathroom. An excellent choice of townhouse if you want to live in a quiet and charming residential area yet close to Palma city center.